The Battle of Rabaul (Operation R), on the island of New Britain, in the Australian Territory of New Guinea, in January and February 1942, represented a strategically significant defeat of Allied forces by Japan, in the Pacific campaign of World War II. 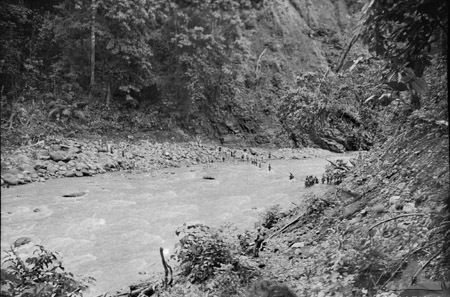 Following the capture of the port of Rabaul, Japanese forces turned it into a major base and proceeded to land on mainland New Guinea, advancing towards Port Moresby and Australia. Hostilities on the neighbouring island of New Ireland are also usually considered to be part of the same battle. Rabaul was important because of its proximity to the Japanese territory of the Caroline Islands, where a major Imperial Japanese Navy base was situated on Truk.